I'm confused about the purpose of this app. The page on Google Play says that this app measures performance, which is a bit vague. With a name like "Dyno", I expected to get the kinds of power and torque charts one gets from a dynamometer. This app just seems to measure 0-60 mph (or whatever) time. The torque and HP charts would be a lot more useful. Along with the car's gearing and tire size (which the app already has), you could calculate optimal shift points. For example, a chart like this would be useful. Here's an online tool to calculate optimal shift points. All that is needed are some points from the torque curve plus the gear ratios and tire diameter, and it will tell you what RPM/speed to shift at for each gear. This was my expectation for a dyno app. I'm not sure how this app as currently constructed is useful to me. 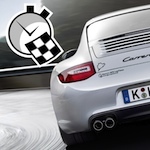 The term "performance testing" is commonly used to measure vehicle performance while operating the engine at the limit. Drag races or in general acceleration tests are samples. Opposed to LapTimer - which measures times based on positions (like a start / finish line), Harry Dyno measures times based on speeds. Like LapTimer, this is versatile and applicable to any speed range accelerating (or decelerating). Dyno displays engine power developed on top, but requires an OBD adapter for this. It does not derive power / torque from speed changes as this proofed to be too noisy / inaccurate for consumer level GPSes. But give some time here, all of my apps develop over time and get featured added. The problem with trying to measure horsepower and torque using on the road acceleration data is that there are a number of other factors that come into play. The biggest one is air resistance. You know how much power it takes to accelerate a car in a vacuum, but trying to factor in air resistance is a lot harder. A car on a chassis dyno isn't moving, so air resistance isn't a factor. Even then, though, you have rotational inertia of the engine, transmission, driveshaft, differential and wheels as well as rolling resistance of the tires that can't be corrected for in a simple fashion. The lower the gear, the more important rotational inertia of the engine, flywheel and clutch becomes. 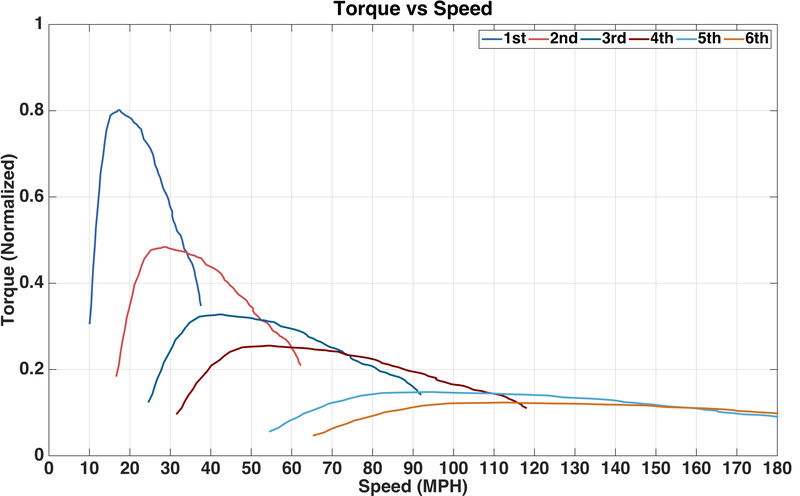 gplracerx wrote: The problem with trying to measure horsepower and torque using on the road acceleration data is that there are a number of other factors that come into play. The biggest one is air resistance. You know how much power it takes to accelerate a car in a vacuum, but trying to factor in air resistance is a lot harder. A car on a chassis dyno isn't moving, so air resistance isn't a factor. Even then, though, you have rotational inertia of the engine, transmission, driveshaft, differential and wheels as well as rolling resistance of the tires that can't be corrected for in a simple fashion. The lower the gear, the more important rotational inertia of the engine, flywheel and clutch becomes. One of the reasons LapTimer's vehicle details exploded already is LapTimer has a full car simulation model in place already. This includes drag, roll resistance, gravity, and several engine characteristics (power loss etc, mass factor / flywheel). The problem is really that feeding in acceleration (or speed change) information collected with consumer level sensors results is extremely noisy results. I wouldn't use accelerometer data either. You're right, it's too noisy. I would use RPM or wheel speed and fit it to at least a third order polynomial to calculate acceleration. That will take out the fine structure you see in a chassis dyno curve, but should get the general shape right, or at least it has for me.